Kosovars make the visual content for a Dutch singer that performs this month in New York City. The complete visual branding of Sevdaliza, who is currently travelling for her international tour, is done by Kokrra, a design and motion graphics studio in Kosovo. 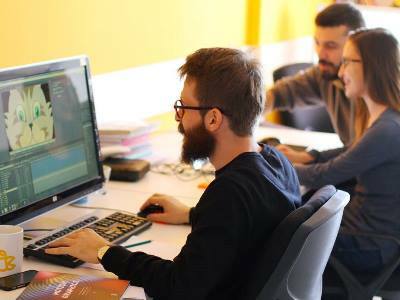 The young startup company Kokrra is based in Pristina, the capital of Kosovo, but their work did not go unnoticed abroad. The introduction video of Kokrra was published in a book, together with work of FOX, IBM, Nickelodeon, and Vodaphone. Kokrra was founded in 2014, and is a part of the incubator program of the Innovation Centre Kosovo. It currently has five employees. Fun fact: before the start of the company, Zogjani was co-founder of another startup, Xiiik. It was the second most voted company in the Global Battle Startup.